Yeah bro! When you get to the big waterfall it’s about halfway up it and you just go through a sign that says DO NOT ENTER. I found that this was not a very good answer of how to get there so I decided that I would just simplify this and show you how to get there. 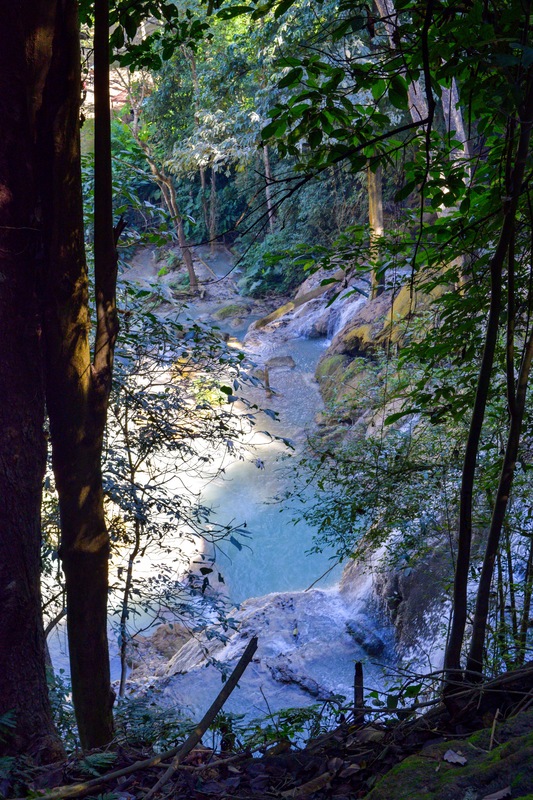 When you get to the main water fall you will want to walk across the bamboo bridge to the other side at which point you will see the trail leading up the side of the waterfall. 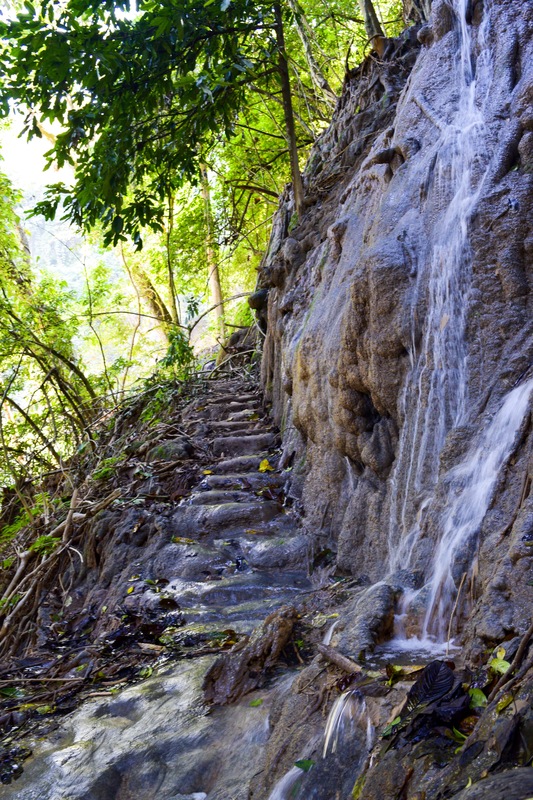 You will find that this trail can be quite steep and slippery at some points so be sure to wear good hiking shoes! About 5-10 minutes into the climb up you should be looking to your left for a small spit off that has a bamboo wall with a sign that says do not enter. This is where you enter to get to the secret waterfall. This split is very close to the beginning of the main trail. When I talked to people about how to get to it they all said it was about halfway up the trail. I found this to be incredibly inaccurate because it was in the first part of the trail up to the top not half way up it. However, I can see the confusion because when you crossover and start up the path to the waterfall you ascend to about halfway up the whole waterfall. Once you pass the main barrier in, in my case there were downed trees and branches obscuring the entrance to the trail head in, you will find some medium downed trees that you must go under. DO NOT go around it by going left. This is a false trail and you will find yourself in a precarious situation if you do. Once you make it under that obstacle you have one large tree to go under a little bit up the trail. Now that you made it past the main obstacles it is pretty easy from here on out. You will continue on the path to some small water pools in the path that lead to carved rock steps. This area is slippery due to a small waterfall that flows down this portion. SO BE CAREFUL! From here it is just muddy trail until you reach the end. At this point it is the most precarious part of your journey. You will have to climb down about 6 feet or about 2 meters. This part can be tricky as the vines and roots are overgrown. The trick down is if you look to the right there is a small gap in the vines that you can go through and on that side there are small foot holds carved into the wall. Use these and the vines to lower yourself down. Congratulations!! You made it to the waterfall!! Now enjoy this amazing place but be responsible! Follow the simple rule of PACK IN -PACK OUT! This just means if you brought it in with you bring it back out with you AKA your trash! I hope this helps you find the waterfall and answers any questions you may have! Be sure to leave you questions or comments below! If you need some inspiration for what to bring with you on your trip check out my travel gear page! Everything on it I personally use while traveling!